Fiesta Del Mar Too serves up Mexican seafood dishes, prepared to perfection, in downtown Mountain View. Taste our authentic family recipes today! "Tap into what matters, like good times, good friends, and good brews." "Fill your life with good things -- or with margaritas. It's kind of the same thing." "You could go anywhere you wanted, so we're curious -- why us?" Wow, crab enchiladas smothered in cheese and a wonderful sauce. Three different salsas complimentary at the table. Everyone in our group enjoyed their food. It was a casual atmosphere yet the quality of the food was great! Great Mexican food in a colorful welcoming environment. Love their selection of margaritas and enchiladas, which is my standard combination whenever I visit. Staff is super friendly and attentive. Recommended! Yes, I'd like to receive news from Fiesta Del Mar Too. 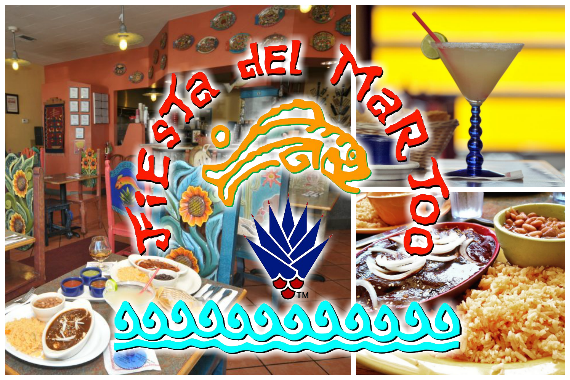 Sign up for the Fiesta Del Mar Too Newsletter!